Here is a picture of my savings at CVS. It could have been a lot more but it shows how much money you can save with a little bit of work. It doesn’t take a lot of time to clip coupons and combine them with the weekly sales. As you will see it is pretty substantial savings on items that I would have bought anyway. While it is not a coupon Arm and Hammer are giving away a sample to try their toothpaste. You can get your free sample by filling out the form here Free Toothpaste. Great way to find out if this product is good for you and your family. I just saw the ad on television and signed up myself. Just got back from CVS where I used my coupons and saved over $18 and got back around $6 in extra care bucks. My out of pocket spend was $40 on $58 worth of items plus I have money coming back in extra rewards which I will use tomorrow when the new sale comes out. I saved money on everyday items like Bounty paper towels, Charmin Toilet paper, Bumble Bee tuna fish, Hefty Garbage bags, and Dove body wash.
As you see above in the savings video it is easy to save money at CVS especially when you combine the sale with a coupon. You can learn a lot about Shopping at CVS with Coupons. 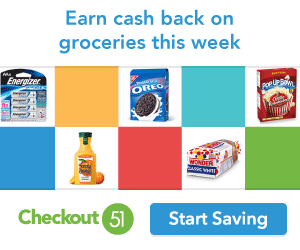 A website dedicated to saving you money using coupons. This site was conceived in early 2009 as a way to save people money when they shop online. It has taken some time to build the site and it will always be an on going process. We will be searching for the best coupons online and sharing them with our readers at no cost to you. We will be linking out to some websites as we find these deals. If you find a coupon that works feel free to add it to the proper category. Helping people save money is our mission and if you can help along those lines feel free to join in. The best way to keep up with the site is to join our email list where we will be publishing special coupons weekly.